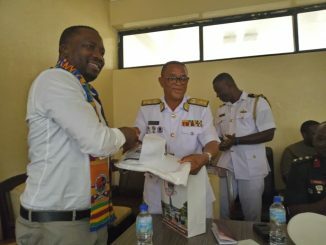 The Local Unit Commander (LUC) of the Adonkia Police Station, Goderich, West End of Freetown-Superintendent Ambrose Michael Sovula has disclosed to this medium that he will always continue to discharge his duties with humility and integrity. 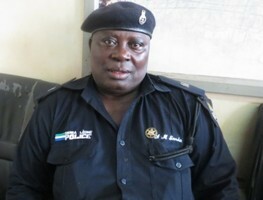 Superintendent A.M. Sovula is one of the award winning police officers and West Africa Road Safety Organisation member who has diligently served the Sierra Leone police for thirty six years since 1980. Born to the parents of peasant farmers-Mr. and Mrs. John Dauda Sovula in Bonghor Bumpeh Ngao Chiefdom, Bo District, Southern Sierra Leone, Superintendent Ambrose Michael Sovula revealed that he got his first name after an Irish Catholic Brethren, attached to the Serabu hospital who encouraged him to continue being a fervent Catholic Christian. He said he grew up with his Aunty-Mamah Nancy Dabor whose husband was a Muslim Scholar. He stayed there from age three to age six until when Brethren Michael asked his parents to come call him (Sovula) to continue his primary education in Serabu Town. He said he officially started his primary education at the age of six years and continued until he sat to the Selective Entrance which promoted him to Senior Secondary School where he took his Ordinary Level Examinations. In quest of greener pastures, he travelled to Freetown and was staying with friends when enrollment into the Sierra Leone police force was advertised. In 1980 he was recruited into the force and it coincided with the Organisation of African Unity (OAU) conference hosted by Sierra Leone. At MMCET, he graduated with a Diploma in Peace and Conflict Studies but later proceeded to acquire a Degree in Economics and Development at the IAMTECH. According to Supt. Sovula, the thirst for higher learning is insatiable and therefore he proceeded to acquire his MA in Peace and Development. He informed that his academic achievements capacitated him to be able to fully administer and supervise the different positions he had served. Supt. Sovula has been recently transferred from the head of Traffic (National Traffic Coordinator) to the Local Unit Commander at the Adonkia Police Station, Goderich in the West End of Freetown where many people are now boasting of having peace, law and order. LUC Sovula said he started his assignment at the Central Police Station as a Statement Taker previously known as an Investigator. He worked in the Registry Office at the Police Headquarters, Criminal Investigation Department, NCO in charge of Crime at the Water Loo Police Station, Crime Officer at the Lumley Police Station, Chief Trainer at the Police Training School and later elevated to become the Commandant. He went further to state that he is one of the certified foundation members at the MIST-Major Incident Support Team. As Commandant of the Police Training School, LUC Sovula said he developed a lot of training strategies for young recruits. 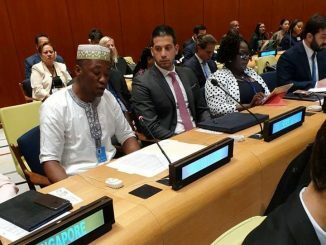 “I developed a gender empowerment framework that will cater for young female graduates as new recruits,” adding that this idea was approved by the erstwhile Inspector General of Police-Briama Acha Kamara and ten young female University graduates were recruited into the force that very year. When asked to do a comparative analysis, he said a lot of reforms have taken place, noting that the gap between the junior officers and senior police officers is intimate and close. 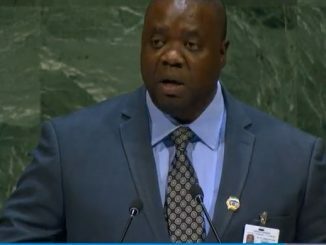 He said new Departments/Units such as FSU, Interpol, TOCU and Gender/Human Rights Offices have been created. He said what has not positively changed is the attitude of the people towards state institutions. Good attitudinal behavior and civic responsibility are lacking as people should not wait and see a police officer before obeying the law. 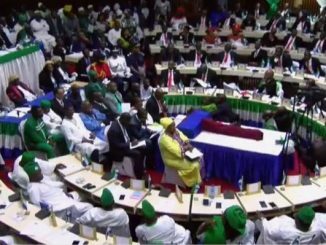 He asserted that the behavioural pattern of every Sierra Leonean should be modified because attitude means everything. He commended IG Munu for bringing new innovations–from a traditional policing to a community policing. 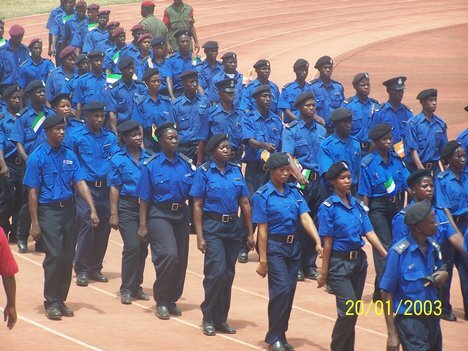 He encouraged Sierra Leoneans to respect the police and help in the development of the force.